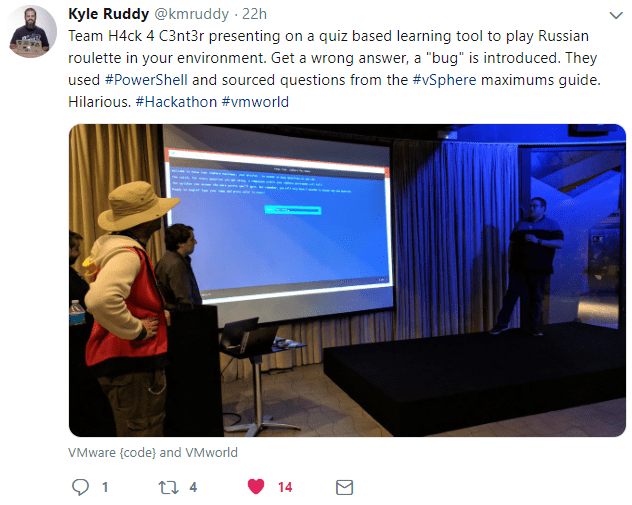 This video is the demonstration from my team “H4CK 4 C3N73R” who created an innovative quiz based on VMware vSphere Maximums. If you got a question wrong, a component from your vCenter Server was deleted! The entire solution was developed in PowerShell, including the GUI and integration with Workstation 15 Pro via the new REST API. Our team came 2nd place in the “done in a day” category.